Gifted is a local goods gathering, gift fair, and holiday party all rolled into one! This year, we’ve teamed up with Portland Made to present a marketplace that re-imagines what holiday shopping is all about. We’ve collected wonderful local vendors so you can get all your holiday shopping done in one place without breaking the bank. 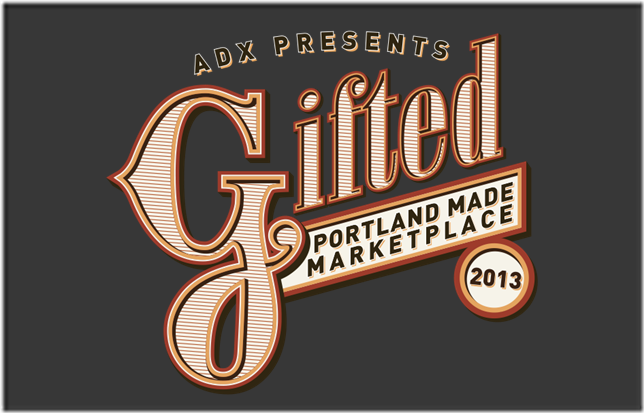 This year, all goods sold at Gifted will be Portland Made so you can support local makers while getting everything you need for the holidays. Enjoy good music and holiday themed refreshments while you find the perfect local gifts for the people in your life. And when you get tired of shopping, take a turn in our photo booth or give your feet a rest in our cozy clubhouse. Our approach to holiday shopping? Local, affordable, enjoyable!